Diagnosis and Procedure Codes were required to change from ICD-9 to ICD-10 on 10/1/2015. These two ICD code versions are very different and cannot be easily mapped to each other. Reports with Diagnosis or Procedure codes are NOT available when discharge period begins before Q4 2015 and ends on or after Q4 2015. NOTICE: Select "ACCEPT" at the end of this agreement to run and view CPT® reports. The five character codes included in the Nevada Compare Transparency Website are obtained from Current Procedural Terminology (CPT®), copyright 2011 by the American Medical Association (AMA). CPT® is developed by the AMA as a listing of descriptive terms and five character identifying codes and modifiers for reporting medical services and procedures. The responsibility for the content of Nevada Compare Transparency Website is with CHIA and no endorsement by the AMA is intended or should by implied. 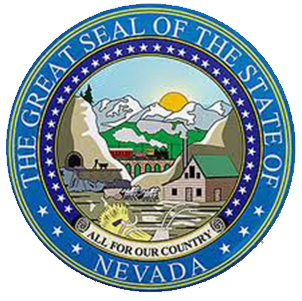 The AMA disclaims responsibility for any consequences or liability attributable or related to any use, nonuse, or interpretation of information contained in Nevada Compare Transparency Website. Fee schedules, relative value units, conversion factors and/or related components are not assigned by the AMA, are not part of CPT®, and the AMA is not recommending their use. The AMA does not directly or indirectly practice medicine or dispense medical services. The AMA assumes no liability for data contained or not contained herein. Any use of CPT® outside of Nevada Compare Transparency Website should refer to the most current Current Procedural Terminology which contains the complete and most current listing of CPT® codes and descriptive terms. Applicable FARS/DFARS apply. CPT only copyright 2011 American Medical Association. All rights reserved. CPT is a registered trademark of the American Medical Association. You, your employees and agents are authorized to use CPT® only as contained in the Nevada Compare Transparency Website solely for your own personal use in directly participating in healthcare programs administered by Center for Health Information Analysis (CHIA) - University of Nevada Las Vegas. You acknowledge that the American Medical Association (AMA) holds all copyright, trademark and other rights in CPT®. Any use not authorized herein is prohibited, including by way of illustration and not by way of limitation, making copies of CPT® for resale and/or license, transferring copies of CPT® to any party not bound by this Agreement, creating any modified or derivative work of CPT®, or making any commercial use of CPT®. License to use CPT® for any use not authorized herein must be obtained through the American Medical Association, Intellectual Property Services, 515 N. State Street, Chicago, Illinois 60654. Applications are available at the American Medical Association Web site, www.ama-assn.org/go/cpt. This product includes CPT® which is commercial technical data and/or computer data bases and/or commercial computer software and/or commercial computer software documentation, as applicable which were developed exclusively at private expense by the American Medical Association, 515 North State Street, Chicago, Illinois, 60654. U.S. government rights to use, modify, reproduce, release, perform, display, or disclose these technical data and/or computer data bases and/or computer software and/or computer software documentation are subject to the limited restrictions of DFARS 252.227-7015(b)(2) (November 1995) and/or subject to the restrictions of DFARS 227.7202-1(a) (June 1995) and DFARS 227.7202-3(a) (June 1995), as applicable for U.S. Department of Defense procurements and the limited rights restrictions of FAR 52.227-14 (December 2007) and/or subject to the restricted rights provisions of FAR 52.227-14 (December 2007) and FAR 2.227-19 (December 2007), as applicable, and any applicable agency FAR Supplements, for non-Department of Defense Federal procurements. CPT® is provided "as is" without warranty of any kind, either expressed or implied, including but not limited to the implied warranties of merchantability and fitness for a particular purpose. Fee schedules, relative value units, conversion factors and/or related components are not assigned by the AMA, are not part of CPT®, and the (AMA is not recommending their use). The AMA does not directly or indirectly practice medicine or dispense medical services. The responsibility for the content of this product is with CHIA, and no endorsement by the AMA is intended or implied. The AMA disclaims responsibility for any consequences or liability attributable to or related to any use, non-use, or interpretation of information contained or not contained in this product. Should the foregoing terms and conditions be acceptable to you, please indicate your agreement and acceptance by clicking on the button labeled "ACCEPT". Note: Breakout by Procedure or Diagnosis is not available when discharge period begins before Q4 2015 and ends on or after Q4 2015. See Diagnosis And Procedure Codes Note above. The information contained on this website is provided to assist with the comparison of hospitals and is not a guarantee by the Department or its employees as to the charges imposed by the hospitals in this State or the quality of the services provided by the hospitals in this State, including, without limitation, an explanation that the actual amount charged to a person by a particular hospital may not be the same charge as posted on the website for that hospital. The following are external links: They will open in a new window. CHIA is not responsible for the content of these websites.